Łukasz Wołk joined Kochański & Partners law firm on the 1st of July 2017 assuming the position of Head of the Kraków office of K&P and Partner for Energy, Natural Resources & Chemicals Practice. Łukasz Wołk will be responsible among others for the implementation of developmental strategy of the Kraków office and the K&P expansion process in Southern Poland. Łukasz Wołk, Advocate and member of the Kraków Bar of Advocates, has during his practice, been involved in numerous transactions concerning the acquisition, sale and reprivatisation of both Polish and foreign companies. He has managed and supervised large-scale M&A transactions and due diligence processes concluding the acquisition, by Polish chemical companies, and businesses on the international market (including transactions in Serbia, Germany and the Czech Republic) . Since 2001, he has been involved in reprivatisation cases placing particular focus on the restitution of the property. In addition, he has provided legal services to developers with foreign capital operating on the Polish market. Łukasz Wołk is also experienced in the field of criminal procedure and has successfully advised in numerous commercial cases pertaining to so called “white collar” crimes. He specializes in court litigation, including in particular arbitration cases before domestic arbitration courts (the Court of Arbitration at the Polish Chamber of Commerce, and the Arbitration Court at the Regional Chamber of Commerce in Katowice) as well as before foreign arbitration courts including inter alia: Arbitration Institute of the Stockholm Chamber of Commerce, and the UEFA Court of Arbitration. At present, Łukasz Wołk serves as a Deputy Judge of the Disciplinary Board at the Kraków Bar of Advocates. Prior to joining K&P, he was a Partner at Forystek and Partners, where he worked for nearly 17 years. Tomasz Arabski, has also joined K&P together with Łukasz Wołk. Tomasz Arabski, Associate, specializes in providing corporate advice to commercial companies and partnerships, commercial contracts and civil procedures. „The legal services market in Kraków is changing very dynamically, as the large domestic and foreign corporations open their branches, offices and outsourcing centers. Such entities need comprehensive global assistance, and K&P is the “one stop shop” providing such services at the highest standards. Undoubtedly this is a unique opportunity on the Kraków’ map. Over the years I have worked with the largest companies in Poland and abroad, so I fully understand their needs. Undoubtedly, the stronger presence of K&P in South Poland may revolutionize the local market of legal services.” comments Łukasz Wołk. “Łukasz Wołk, with his considerable experience, including among others in the fields of company and team management, fits perfectly into the plan of implementation of K&P developmental strategy and the expansion of our Kraków office. Moreover, Łukasz has unique expertise in providing legal advice to chemical companies. 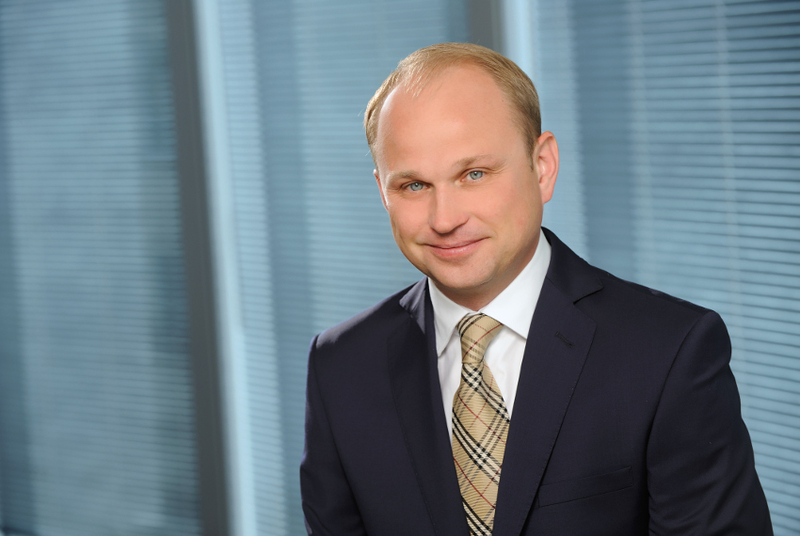 We are delighted that Łukasz has decided to join and strengthen K&P and, together with us, has taken on new challenges”, adds Rafał Zięba, Managing Partner of K&P.